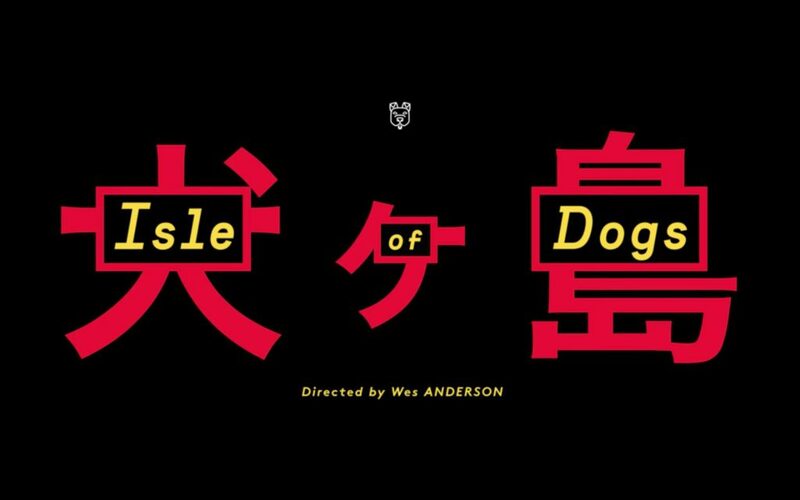 When we saw the initial trailers of Isle of Dogs, we weren’t all too surprised to see Wes Anderson behind the rudder of this movie after his experience with Fantastic Mr. Fox. Isle of Dogs has a lot of resemblances with the aforementioned movie in terms of its graphical style and the way the movie was created, but still, Isle of Dogs seemed to be a new masterpiece in the making, especially in terms of its appearance. The movie itself still held many mysteries for us, as the dogs would be speaking plain English, while the humanoid characters would mostly be speaking Japanese without any translations, unless one of the characters could conveniently translate what is going on. This approach had us intrigued and truth be told, we are happy to give this movie some extra attention. In a fairly near future, Japan is plagued by a virus that spreads among the canine population. While this alone is already worrisome, there’s a chance that the virus might actually pass over to the residents of Japan. To prevent such a thing from happening, all dogs are banned to a local small island, that has been dubbed trash island. The mayor, Kobayashi (Kunichi Nomura), wants to set an example by banishing the dog of his pupil, Atari (Koyu Rankin), first. Spots (Liev Schreiber) gets dumped on said island without any hesitation. We skip a few years in the future, and we get to know a small pack of dogs, Chief (Bryan Cranston), Rex (Edward Norton), King (Bob Balaban), Boss (Bill Murray) and Duke (Jeff Goldblum). These dogs have been surviving on the island for several years, and all have been suffering under the harsh conditions. While Chief never truly had an owner, the others miss the days that they had more than enough food and got love and attention from their owners. Those sentiments aside, the party has been doing their best to survive and they manage for the most part. Things drastically change however when a small plane crashes on the island, carrying Atari, who is on a mission to retrieve Spots. While Chief is hesitant to jump aboard the plan to help the boy, the rest outvotes him, forcing him to tag along. Of course, the mayor’s pupil will not be overseen that easily, and dog catchers, new robotic animals and an even scarier future are in store for the roaming canines. The flow of the movie is somewhat bizarre, yet very pleasant. More than often you’ll go from the present to the past, in order to allow the story to further unwind, or let the storytellers grant you that extra piece of information you need to complete the next piece of the puzzle. While this movie certainly isn’t the fastest, you’ll still need to properly pay attention to what is going on. It’s fun that the dogs are the actual narrators of the film, and that the humans, in this case the Japanese residents, are only sometimes intelligible, which creates a somewhat reversed situation compared to normal flicks. Of course the movie makes sure that we get every necessary piece of information needed to fully enjoy the story by conveniently placing translators close to the characters of importance during broadcasts and so on. It’s tremendously easy to state that the cast behind the animations is simply outstanding. You’ll have famous actors such as Bill Murray, Bryan Cranston, Edward Norton, Bob Balaban and Jeff Goldblum portraying the party of dogs. Of course, the leading young adult behind Atari’s character, Koyu Rankin, also does a phenomenal job, even though most of the time we’ll have to guess at what he’s actually saying, as not all his lines are translated. Further along the line, we’ll get to enjoy acting performances by Scarlett Johansson, Tilda Swinton and Liev Schreiber. Even more great cast members lurk behind the scenes of this movie, but there are simply too many to mention. The biggest letdown of this Blu-ray edition of Isle of Dogs is the fact that it comes with hardly any noteworthy extras. For a movie that has been created with a stop-motion technique, it would have been great to see how the movie came to life, how the characters were created and how the entire process was done, as well as how the actual filming happened. In turn we only get some promotional featurettes, a gallery and trailers, which feel like extremely underwhelming after having watched the movie, which is a giant piece of art. Isle of Dogs is both an artsy masterpiece, as well as a great piece of cinema. While this is one of those movies that you’ll have to have a certain affinity for, as stop motion cinema isn’t for everyone, the story is great, the visuals are spectacular and the overall flow is very enjoyable. If you loved movies such as Fantastic Mr. Fox, or even the Nightmare Before Christmas (keeping in mind Isle of Dogs isn’t a musical) you’ll certainly love this film. We can wholeheartedly recommend this title, not only to view, but also to add to your collection.